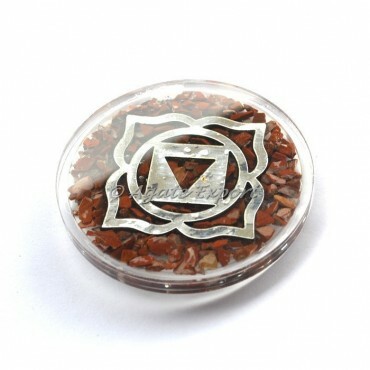 Balancing the root chakra creates the solid foundation for opening the chakras above. The root chakra is comprised of whatever grounds you to stability in your life which includes food, water, shelter and safety. Boost positive energy in your food with this unique coaster.